Welcome to the future in mouthguard innovations, style, convenience and retentive protection. Action Mouthguards is the brainchild of the energetic dental prosthetist/technician Adrian McCarthy of 18 years experience in the field who intends on changing the industry with fantastic and exciting guards that evoke the wearer. 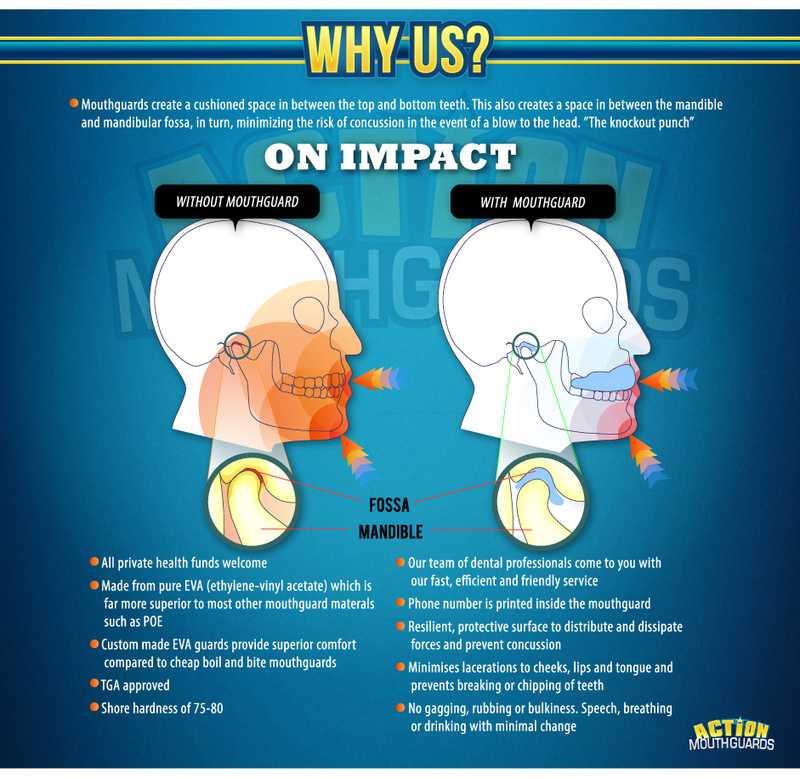 Action Mouthguards fans will gravitate to safe preventative and exciting measures without the feeling they are. So comfortable that you forget you're wearing one. Action Mouthguards have a range to entice the wearer with colours and designs that very few providers offer! The beauty of it is that such a small thing can prevent such an unfortunate and costly accident. We use the highest standard of protection at affordable prices, our product is Australian made and owned and our customer service is second to none. The best is the price as all private health funds pay rebate. Action Mouthguards comes to you. Hicaps facilities for your private health funds on the day. Clubs and schools contributions.